The Küschall wheelchair is a leader in the world of wheelchairs. It has revolutionized the industry in both form and function. The design, quality, performance, and ease of handling make the Küschall wheelchair an excellent choice for many users. 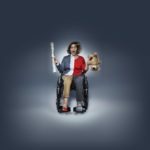 Learning about the history and design of the chair may help you decide if the Küschall wheelchair is right for you. Rainer Küschall broke his neck in a diving accident at the age of 16, instantly causing him to become a tetraplegic. That accident may have changed his life, but he did not allow it to end it. The first two years were difficult. Rainer spent almost all of his time in bed, being shuffled from one hospital to the other. After much medical debate, he was eventually taken to the Stoke Mandeville hospital, which was rapidly becoming the world’s leading rehabilitation center for complex spinal cord injury patients. While a patient at that hospital, Rainer, discovered the joy of escaping their restricted world through sports. At first, he and several other young men were only able to enjoy simpler activities such as table tennis. That soon expanded to wheelchair racing, and even car racing. Over the years, Rainer accumulated 21 Paralympic medals, numerous track world records and finally, in the ‘90s, he conquered his final challenge of becoming the marathon world record holder. Through his experiences with adaptive mobility, Rainer’s engineering talents come to the forefront. In 1978, by the age of 30, to meet his own needs for better mobility equipment and more independence, he founded Küschall AG. Küschall invented the first minimal open frame chair in 1985. This was life-changing for many wheelchair users. Sadly, his innovations were copied by competitors, as there was not much enforcement of the International Protection Marking. But Rainer continued with his vision for Küschall AG, and many more developments followed. Rainer’s product line focused on what was known as “active wheelchairs.” These chairs were designed for users who no longer had control of their legs, but still had a good bit of upper body strength. The age range of the user is from early teen and up. Both men and women enjoy being active with Küschall’s wheelchairs. The Küschall chair allows for the user to be seen as person before the wheelchair is observed. They chairs are also easily foldable, yet rigid, to make them both transportable and stable. The chair is not designed to look like and obstacle, it is designed to facilitate and active lifestyle. Historically, wheelchairs had been heavy vehicles. They forced wheelchair users to be patients that needed a carer, rather than allowing them to maneuver themselves. In 1985, Rainer Küschall designed a wheelchair that was 40 percent smaller than the average. It also reduced chair weight down from 25 kilograms to 14. Reducing the weight and adding new seating adjustments for positioning, Rainer increased the range of uses for the wheelchair. In fact, he established the monotube design, which has now become the most common wheelchair construction. The monotube design uses one single metal tube as a frame, to connect all parts of the chair. The tube holds together the wheels, runs under the seat, and curves down to attach to the footplate. This eliminates extra metal, which would make the chair heavy and cumbersome. At that time, the product, which Rainer called “The Competition” (known as Champion 3000 in the USA) was revolutionary. And it remains the standard for basic wheelchair design. Because of its beautiful and functional design, “The Competition” wheelchair won an award from the Museum of Modern Art in 1986, making it the first medical device in the MoMA collection. Stunning Design– At Küschall, we truly believe what is most important is not the wheelchair itself, but the person! 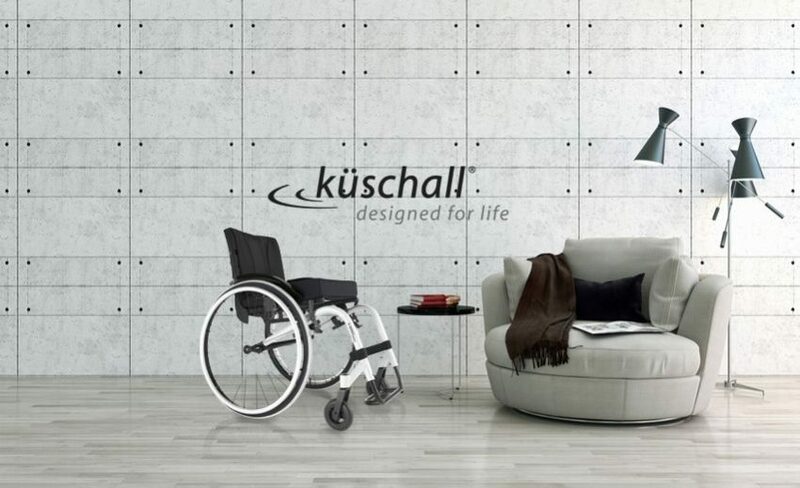 With their sleek and minimal design, Küschall wheelchairs aim to enhance your daily life and activities! Swiss Precision Quality– All Küschall wheelchairs are produced in Witterswil, Switzerland. 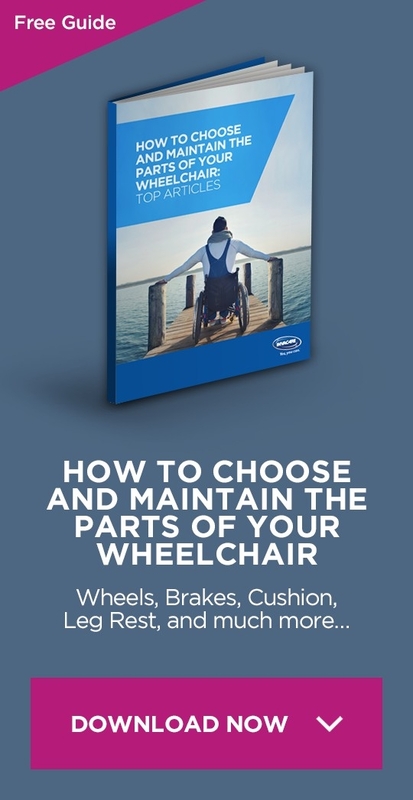 They all have to pass strong quality and field tests when developed, but also each Küschall wheelchair is closely examined before leaving the factory. All measurements are checked, and functionality and driving performance tests are performed. There is no compromise: they are all perfect before we ship them to you. Driving Performance & Mobility– We aim to develop products which will provide the best possible driving performance and make everyday life easier! Küschall prides itself on its innovation strength, top quality material, smart mechanical assembling solutions to achieve impressive frame rigidity and stiffness, but also high adjustability, to offer you both perfect driving performance and the most efficient and ergonomically correct active sitting position. Lightness and Easy Handling– Offering you the best is our goal. Particularly versatile and functional, Küschall wheelchairs are also lightweight. They are convenient to handle and easy to transport, and thanks to their compact size, they will also fit in even the smallest places. The Küschall wheelchair has a driving performance that has to be felt to understand. 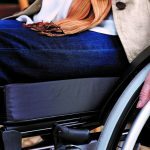 When you sit in the wheelchair, you sense the dynamic responsiveness of the chair. It has high agility and turns with ease. The performance and efficiency are amazing. One push of your hands on the wheels, and it rolls a great distance before needing a second push. The monotube design also gives the chair better aerodynamics. There is zero play between the metal parts and the overall construction, which makes the chair completely stiff and durable. The materials are top quality. At Küschall, form follows performance. Every component of the chair is specifically engineered to complement the driving performance of the wheelchair. Users can practically feel the surfaces they are exploring, as the chair becomes an extension of their body. The chair must be perfectly configured to the user to accomplish this performance. Optimum performance is not achieved simply because the chair is light and durable, but because it has been customized to give the user maximum control. Invacare equipment representatives have been trained to measure and fit each customer perfectly to their chair. This allows for the user to enjoy their Küschall wheelchair experience and experience the freedom and mobility it provides.